How Does a Getaway to the Bahamas Sound? See How YOU Can Qualify! The qualification period for our Global Top Achievers 2019 incentive trip is officially OPEN. 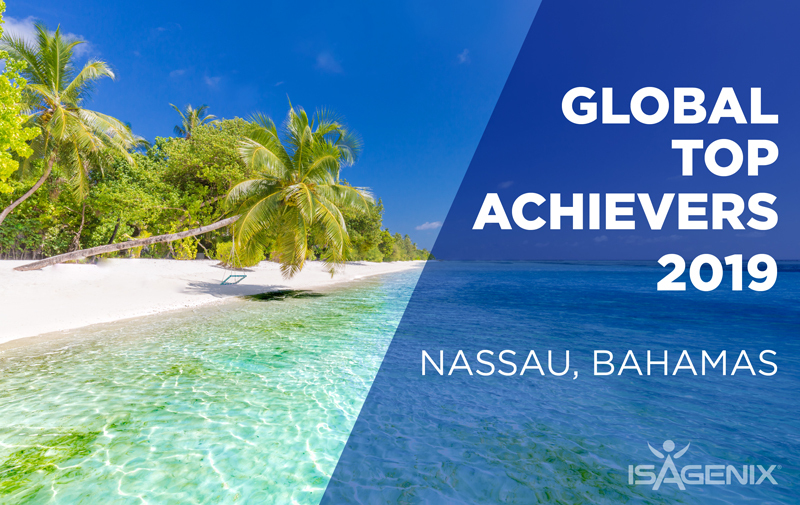 Push your Isagenix business to the next level so you can be one of the lucky few who will be jetting off to the gorgeous island of Nassau, Bahamas from 5-9 June 2019. This life-changing trip is your chance to surround yourself with other top achievers from around the world, receive exclusive training and company updates and enjoy breathtaking Bahamian beaches. Now is the time to work hard for an extraordinary reward! The qualification period lasts from 1 March 2018 until 24 February 2019. Check out the qualification requirements here. Hope to see you at the beach in 2019!